Donate to Horizons’ Moolah Campaign and you may be a lucky winner. 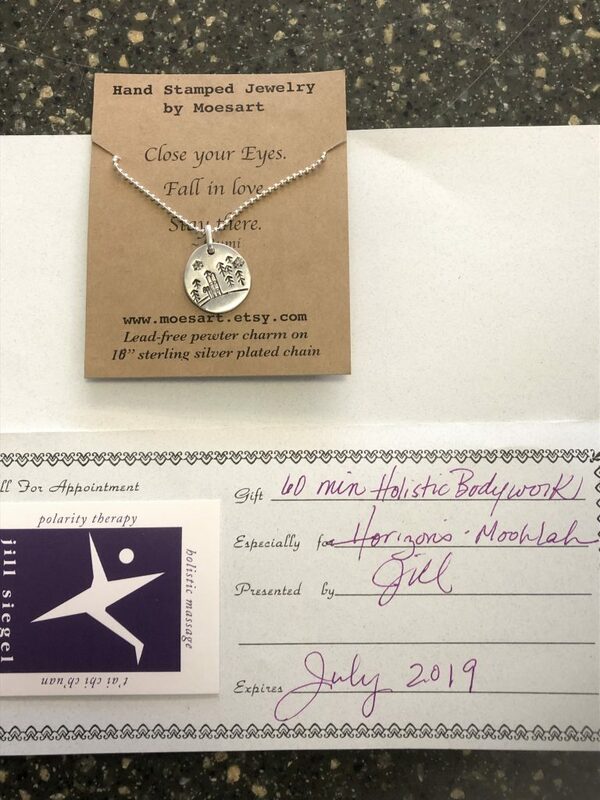 Indulge yourself in a deluxe 60-minute massage or, just in time for Mothers Day, gift your favorite woman with this gorgeous hand stamped necklace from Moesart jewelry. Donate now, if you haven’t already, so you can possibly win one of these sweet items.